How can games be used to reduce biases and biased behavior toward those people with special needs—if at all? In this paper I contextualize biases toward people with special needs, and also investigate possible intervention to encourage bias reduction. I also provide particular attention to educator biases around students with special needs, and how games may support interventions and professional development to reduce biases and biased behavior. Based on this, and the limited research on games, empathy, perspective-taking and bias reduction, I describe five possible strengths and four possible limitations of using games for these purposes. Keywords: Games, Design, Bias, Special Needs, Empathy, Video Games. Can games help to reduce biases, or the practices and behaviors related to these biases? If so, which characteristics of games may encourage or limit the reduction of biases, such as biases toward people with special needs? Games are starting to be used for bias reduction and the lessening of stigma, including non-digital games (Wong & Li, 2015) and digital games (Roussos & Dovidio, 2016; Simonovits, Kézdi & Karos, 2018). Finding interventions and experiences that support bias reduction and change behavior is becoming even more pertinent as schools become more diverse in student population (Lee, 2010) and as the number of children characterized as having special needs continues to increase (according to the IDEA act statistics, the number of children ages 3 to 21 that are served doubled from 1976 to 2015 (US DOE, 2018)). Moreover, between 2016 and 2018, there has been an increase in bias-related incidents, including hate crimes, cyber harassment, and a lack of civil discourse online (ADL, 2018). In this article, I will review research on bias, anti-bias education, and bias intervention techniques, as well as research on games that aim to reduce bias, as well as games more generally. Games and gaming culture have even been seen as driving an increase in bias and expressions of bias, and has been suggested as causing antisocial behavior, such as aggression, violence, and addiction (WHO, 2017). Rather, in this paper I seek to understand how we may be able to reduce bias, unravel any strengths and limitations, and make recommendations for going forward. Finally, I will apply particular attention to research on educators and biases, and investigate research on biased behavior and attitudes toward students with special needs. What are special needs? In this paper I define special needs as specific needs outside of what is typically designed for, whether a game, intervention, learning experience, or classroom environment. Regardless of whether these needs should be designed for, they may not be considered in the design process, as designers may seek to create a “one size fits all” environment. For instance, a person with special needs could refer to a person with autism spectrum disorder, or someone, like my son, who is developmentally delayed and needs to wear prosthetics. It could also mean different types of learning disabilities, hearing or vision issues, a sensory disorder or ADHD. Further, what are biases? A bias is an, “inclination or preference either for or against an individual or group that interferes with impartial judgment” (ADL, 2018). Researchers distinguish between implicit biases and explicit biases, with implicit being less consciously applied and explicit more deliberate. Both types of biases can affect behavior (Bai & Ertmer, 2008), judgments (Campbell, 2015), and sense of self or self-efficacy (Burgess & Greaves, 2009), although it is still unclear whether activation of stereotypes is causing the application and judgment of a group (Glock & Krolak-Schwerdt, 2013). Besides the term bias, there are other related terms: stereotype, prejudice, stigma, and discrimination. Stereotypes are automatic and (often) evaluative judgments of a specific group (e.g., a gender or racial group as being associated with particular characteristics) (Campbell, 2015). Prejudice is defined as a systematically unfavorable attitude or belief toward a specific group of people, whereas discrimination is the “operationalization” of these prejudices in the form of negative actions and behavior toward that group (Adachi, et al, 2015). As Powell (2014) explains, stigma is a mixture of “stereotypic beliefs, prejudicial attitudes, and discriminatory actions” directed toward any specific group of people, which also stems from and varies by its social context (Lockenvitz, 2016). All people, including teachers, parents, peers, and even young children, may have different types of biases. Biases may be based on gender, race, ethnicity, perceived social class, nationality, and special education needs (Campbell, 2015). These biases may influence a person’s behavior (Bai & Ertmer, 2008) and may also have an affect how that person interprets, assesses, and interacts with others (Campbell, 2015; Overby; Carrell & Bernthal, 2007). Do teachers and other educators have biases about and biased behavior toward students with different backgrounds and needs? Teachers may assess their students differently based on their biases (Campbell, 2015). For instance, Campbell (2015) looked at teacher judgments of their students and found that students with any special needs diagnoses were less likely to be found to be rated “above average” for reading and math ability than those without any special needs. The researcher also found the same pattern for lower-income students, boys (reading), girls (math), and all ethnicities except white and Indian (Campbell, 2015). Likewise, research by Lavy & Sand (2016) suggested that gender biases were implicated in long-term consequences for domains such as STEM and boys’ achievement (positive effect) and girls’ achievement (negative) (Lavy & Sand, 2016). Teachers also specifically have biases about people with different types of special needs. For instance, researchers looked at biases about students with speech sound disorders; and their results suggested that teachers may judge students’ school performance based on intelligibility and speaker pitch (Overby, Carrell, & Bernthal, 2007), such as judging those students with moderately intelligible low-pitched speech as having more behavior problems (Overby, Carrell, & Bernthal, 2007). People may have biases about adults and children with speech and communication disorders, such as a lisp—and judge them as not being as intelligent, even if the disorder has no relationship with intelligence (Lockenvitz, 2016). Teachers may also have biases about the competence of students with autism spectrum disorder and developmental delays (Travers & Ayres, 2015). An older model of special needs was based on an idea that there was a “deficit” or gap in ability in children; whereas a newer model is one of presuming competence and seeing those people with autism spectrum disorder as being capable of feeling and thinking (Travers & Ayres, 2015). Researchers also uncovered biases related to who gets referred for treatment and/or further support for special education and special needs. One’s professional judgment of behavioral issues or academic competence is affected by their biases (Travers & Ayres, 2015). For instance, males are more often referred for learning disabilities services and support than females by teachers (Flynn and Rahbar, 1994) suggesting gender bias in beliefs around learning disabilities and in interpreting behaviors associated with this (Anderson, 1997). On the other hand, some studies suggested that teachers’ judgments and behavior were not driven by racial and socioeconomic bias (Abidin & Robinson, 2002). Teachers are not the only ones with biases and are no more or less biased than other populations (Campbell, 2015). Biases also start young. Research by Quian, et al., (2015) suggested that implicit racial biases were present in three to five-year-old children in China and Cameroon. Parents have implicit and explicit biases against children with obesity (Lydecker, O’Brien, & Grilo, 2018). Biases do not always lead to negative or problematic outcomes. Researchers found a leniency bias that favored applicants to jobs who had a physical disability or handicap (Brechner, Bragger & Kutcher 2006). The relationship among bias, attitudes, behavior, and social context, however, is complicated. Biases that educators may have also influence, and are influenced by, biases of students. People may be both objects of stereotypes and biases, as well as perpetrators or agents of biases and stereotypes, even at the same time (Castillo, Cámara & Eguizábal, 2011). What may be problematic or stigmatized behavior or characteristics in one social context may not be stigmatized in another time, place, or social situation (Lockenvitz, 2016). The relationship becomes even more complicated as one’s own identity, other’s biases and one’s internalized biases, and structural and systematic inequality, can even one’s affect performance and overall educational attainment (Burgess & Greaves, 2009). Internalized biases and stereotypes about one’s identity or group identity, may also affect one’s performance. Stereotype threat, the risk of living up to the negative stereotypes that an individual hears about one’s group or one’s identity, affects performance and achievement, and affects marginalized minority groups (such as women and people of color) and may lead to disengagement in STEM and other domains (Woodcock, et al., 2016; Woodcock, et al, 2012; Steele & Aronson, 1995). Gender and race-ethnicity, as well as other aspects of identity, also factor intersectionally into how people feel a sense of inclusion and their experiences (Delgado & Stefancic, 2017). One’s social identity affects and drives learning and growth (Kim, et al., 2018), including one’s sense of belonging (Cheryan, et al, 2015), expectancy-value (Wang & Degol, 2013), stereotype threat (Shapiro & Williams, 2012), and interest in something (Su & Rounds, 2015). One’s racial, academic, and disciplinary identity also factors into one’s social identity complexity (Varelas, Martin & Kane, 2012; Roccas & Brewer, 2002). Biases are also embedded in design itself—whether of the classroom, the learning experience, or a game or interactive application. For instance, biases have been found in artificially intelligent algorithms, which then become embedded in platforms that rely on them, such as search engines, face recognition, or social media platforms (Howard & Borenstein, 2017). Models and systematic educational approaches may also be embedded with the biases of the time and the social context of its creators. As mentioned earlier, more recent models of presumed competence replaced previous approaches toward those with special needs as if they have a deficit (Travers & Ayres, 2015); and each model or theoretical approach comes with its own set of biases and ways of seeing the world. How do we reduce biases? What can design do to reduce biases and support greater equity, accessibility, and support for all human beings? But how do we mitigate disrespect for others and reduce negative social behaviors, such as bias? In the section, I will discuss findings and studies that investigate bias reduction, much of which is contradictory, and apply it to games. There is limited research on how to successfully reduce biases and biased behavior, and which strategies are most effective. Likewise, there is even less research on how to reduce biases using games and/or other designed playful experiences. In this section, I will share and apply the existing research on bias reduction and games, and identify the possible strengths and limitations of games, particularly in relation to helping teachers and other education professionals reduce biases in relation to students and colleagues with special needs. I will also explore open questions and gaps, and recommended areas for further research. A game can be part of a professional development experience that is virtual, in-person, or a hybrid of the two. This experience, depending on how it is designed, can be the entirety of the intervention, or can be part of it, and support other aspects of an intervention. How the entire intervention is designed matters, just as how a game is designed also matters. While some interventions, workshops, and even simulations have worked to reduce biases (Simonovits, Kézdi & Karos, 2018), many do not (Nario-Redmond, Gospodinov, & Cobb, 2017). It often depends on how the intervention is designed, rather than the fact that there is an intervention. For instance, there are also many “trendy” interventions that do not work, such as for those with autism spectrum disorder (Travers & Ayers, 2015). Researchers have begun to drill down into what types of interventions work for which types of biases, populations, and prior experiences (Castillo, Cámara & Eguizábal, 2011). Brecher, Bragger & Kutcher (2006) looked at job interviews, and their findings suggested that structuring an interview (standardizing the interview in some way to decide on questions and evaluation rubrics and methodologies (Campion, et al., 1997) helped to reduce biases in favor of applicants with physical disabilities. Williams, et al. (2018) looked at medical schools and found that those programs with a lower incidence of bias were found to have “longitudinal reflective small group sessions; non-accusatory approach to training in diversity; longitudinal, integrated diversity curriculum; admissions priorities and action steps toward a diverse student body; and school service orientation to the community” (p. 1). Though this does not suggest causation, it does suggest possible features to address in future training environments. They recommend, for one, the creation of learning communities as this would support reflective small groups over time (Williams, et al., 2018). How can games, specifically, be incorporated into interventions? First, either analog or digital games can be used as part of in-person in workshops or other interventions to support learning and interaction among participants. 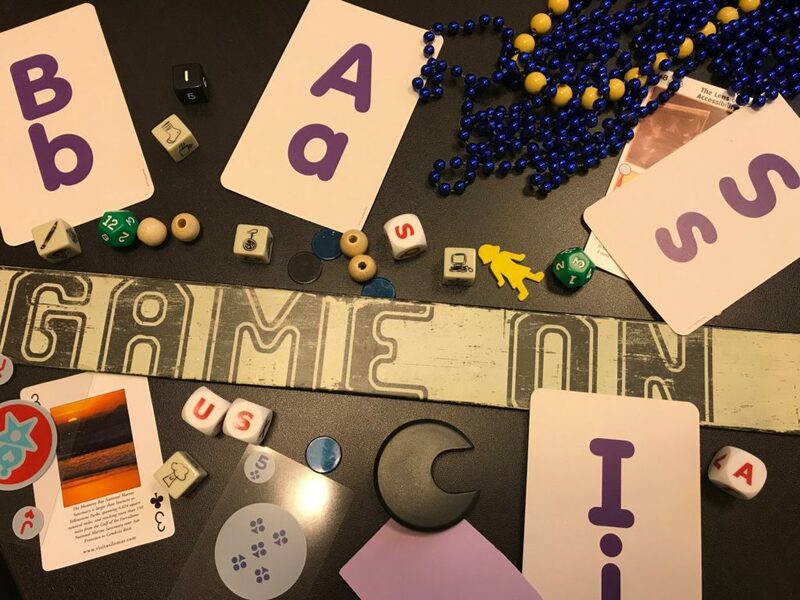 The ADL’s anti-bias teacher training, for instance, includes non-digital games and playful interactions, such as “Things in Common,” a game where players need to figure out aspects of their identity that they have in common before the time runs out (ADL, 2018). Adathi, et al. (2015) explains that games can serve as intervention tools to reduce bias, particularly when played cooperatively, even if the participants are in different locations. This may be particularly effective when people on the same team are aware that they are working with people from “out-groups” (Adathi, et al., 2015). While a completely virtual game that functions as an intervention is not an exact replication of an in-person, interactive professional development experience, it may have instructional value, and its own strengths and weaknesses. Games, for instance, have been used effectively for instructional purposes to teach both skills and content knowledge in a variety of areas, from science, technology, engineering and mathematics (STEM) to English language arts (ELA) to music (Schrier, 2018). Quandary, created by Learning Game Networks, helps teach middle and high school students how to build arguments and interpret evidence, by placing the player in a new society, where they have to help decide how to solve problems in the new society. Research on bias reduction, particularly racial and ethnic biases, often points to encouraging empathy and perspective-taking (Batson, 1987), which has helped improve attitudes toward marginalized groups (Dovidio, Pagotto, & Hebl, 2011). Though there are many different definitions of empathy, in general, empathy has affective and cognitive components and is defined as caring about what someone else is going through, thinking, or feeling (Schrier & Farber, in progress). Recent research on bias suggests that people tend to treat others with more empathy if they feel like they are more “like them” (in one’s in-group) as opposed to those who they think are different (an “out-group”) (Darvasi, 2016). Seeing someone as being in one’s “in-group” or in an “out-group” can be based on one’s abilities, race, gender identity, religious affiliation, or even sports or fan interests. Intergroup contact has been a common tool for helping people reduce their biases about other people (Castillo, Cámara, Eguizábal (2011 Allport, 1954; Pettigrew & Tropp, 2005, 2006), in that people become more accustomed to others by spending more time with them, and begin to see someone as more of a member of an “in-group.” For instance, Powell (2014) looked at stigma around mental illness, and found that those who have exposure to mental illness are typically those who have less anxiety around it, and more positive beliefs and fewer negative beliefs about mental illness and its prognosis. Perspective-taking activities may also increase connections among disparate groups. Castillo, Cámara, Eguizábal (2011) describes perspective-taking as the process of cognitively thinking through what one “cognitive approximation between the self and members of the stereotyped group and between the ingroup and the outgroup” (p. 168). Such perspective-taking could lead to more positive views of “out-groups,” reduced communication of stereotypes and stereotypical representations (Galinsky & Moskowitz, 2000; Galinsky et al., 2005, 2008; Castillo, Cámara, Eguizábal, 2011). Perspective-taking has also been associated with a greater willingness to engage with others that are from another group (Wang, et al, 2014). When engaged in perspective-taking, people will start to ascribe the perspectives of the other as their own, and vice versa, which in turns strengthens connectedness between the two groups (Galinsky, et al, 2008). Even just feeling that someone else is taking our perspective may be beneficial as taking another’s perspective, as it could lead to more connection and feeling of overlap with the other person and greater empathy for them (Goldstein, et al., 2014). Self-esteem and empathic feelings may also interrelate to the effectiveness of perspective-taking (Vescio, et al., 2003; Galinsky & Ku, 2004). Vescio, et al (2003) had participants take on the perspective of an African American student, and the participants self-reported more empathy and more positive attitudes toward African Americans in general following this exercise (Vescio, et al, 2003; Castillo, Cámara & Eguizábal, 2011). Likewise, Castillo, Cámara, Eguizábal (2011) studied older adults and provided a story about a Moroccan immigrant and led through perspective-taking exercises. Their research suggested that perspective taking was moderately effective for reducing stereotyping and that this research has implications on training programs to support the reduction of intergroup biases among older people, for example. Familiarity, exposure, and contact with others may also help (Steele, Maruyama, & Galynker, 2010). For instance, teacher training, workshops, and professional development opportunities that use these types of methodologies have been shown to enhance more positive attitudes in people, such as preservice teachers toward linguistically diverse populations (Cho & DeCastro- Ambrosetti, 2005). How can games further encourage empathy, perspective-taking, exposure, and other related practices, such as people with special needs, or people with different backgrounds, perspectives or experiences? Many researchers have pointed out the potential of virtual spaces to support the practice of empathy, bias reduction and compassion (Faber & Schrier, 2017; Aviles, 2017; Schrier & Shaenfield, 2015; Schrier, in progress). Most research has considered how to apply the aforementioned theories and practices around reducing intergroup conflict and biases, and applying them to virtual worlds and games (Yee & Bailenson, 2007; Faber & Schrier, 2017; Aviles, 2017). For instance, some games may help to immerse people into virtual worlds and new roles and identities (Schrier, 2014), which may encourage consideration of others’ experiences, feelings, and perspectives (Faber & Schrier, 2017). Games may help people express and experiment with their own identities and others’ identities (Schrier & Faber, 2018), and may enable people to communicate and interact with people from other cultures, with other types of needs, and with different types of experiences (Schrier & Shaenfield, 2015). As Aviles (2017) writes, “If one reason individuals self-segregate in the physical world is because they have no prior experience interacting with diverse individuals, the virtual world can be a safe place to gain this experience and lead to further contact in the real world. In addition, virtual contact with diverse representations of users may be enough to enact the positive qualities associated with contact in the physical world.” (Aviles, 2017, p. 3). Games may help motivate players to consider others’ perspectives and to share their own views (Schrier, et al., 2014), and to work with others to solve real-world problems (Schrier, 2016), which may help to build empathy for those in an “out-group” by making them more of an “in-group.” For instance, in games, players can learn about other’s perspectives and connect with (virtual) people and stories in which they may not typically interact (Farber & Schrier, 2017). Research has suggested that even virtual perspective-taking can decrease bias and negative attitudes toward “out-groups,” and also enhance compassion and helpfulness toward others (Hasler, et al., 2014). Though this is complex (Nario-Redmond, et al., 2017). Simonovits, et al. (2018) created a perspective-taking game that significantly reduced prejudice toward stigmatized groups in Hungary (Roma and refugees); this reduction lasted at least a month, and also resulted in changes in voting behavior. In Revolution: 1979, players are able to take on the role of a person from history during the events leading up to and during the Iranian Revolution of 1979. The game incorporates authentic perspectives from this time period and moment, and helps players to better understand the types of issues that led to the uprising, as well as how that may affect culture and politics today. Another example, The Migrant Trail, is a game that allows players to explore two different perspectives on migration from Mexico to Texas, and shows both the dangers of being a migrant, as well as the difficult decisions in being a border patrol agent. Games can not only share perspectives, but also help us express and appreciate emotions. In That Dragon, Cancer, a game about a (real-life) family grappling with their young son’s cancer, players can connect through themes of loss, family, and love (Farber & Schrier, 2017). Moreover, researchers also found that they could redesign the features of a platform to counteract the tendency of people to make judgments based on social biases and trust people more if they are more similar to them (Abrahao, et al., 2017). Abrahao, et al. (2017) found that they were able to increase trustworthiness of dissimilar people from the participants on the Airbnb platform by including a reputation system. Games can support the creation and interactions of a learning community, or a community of practice (Wenger, 1998). For instance, games can help participants interact with each other around topics of interest (Crowley & Jacobs, 2002), can help participants collaborate on solving problems (Schrier, 2016), and can encourage more experienced players and practitioners to train novices, or to trade knowledge around different types of skills (Steinkuehler & Oh, 2012). Players (such as those of World of Warcraft) may develop shared norms by participating in these communities (Steinkuehler, 2007) and can help players acquire the vocabulary, tools, and epistemic understandings of those communities (Shaffer, 2006; Squire, 2011). As mentioned earlier, a learning community can help to encourage connections among disparate groups, as well as encourage a sense of belonging and inclusion in a game community, which may contribute to empathy, perspective-taking, learning, and positive exposure to others’ backgrounds and cultures, and greater self-efficacy and social support (Schrier 2016; McGonigal, 2011). Games may also allow players to work with and partner with others across distance and time, who are not only not part of their everyday peer group, but may even be from the outgroup. If players are depending on each other, and need to communicate with each other on a shared task, they are able to build a more collaborative, altruistic relationship with each other (Schrier & Shaenfield, 2015; Adachi, et al., 2016). For example, in Eyewire and Foldit, players work on real-world problems (such as understanding brain cell and protein structures, respectively) and communicate with each other through the game’s platforms, and often form learning and problem-solving communities, which have helped to contribute to significant scientific discoveries (Schrier, 2016). Intergroup contact enhances empathy for the out-group and intergroup empathy decreases prejudice for the out-group (Adachi et al., 2015). However, competitive and/or violent games may not have the same effect as collaborative and/or cooperative ones (Adathi et al., 2015). Adathi et al (2016) looked at violent video games and those who played it cooperatively were able to have more improved out-group attitudes than those who played them solo. Those playing a violent or nonviolent game, cooperatively, were more likely to increase attitudes toward the outgroup versus those playing either game by themselves (Adathi et al., 2016; Greitemeyer, 2013). It is unclear as to the mechanism for why cooperative play enhances these attitudes, and often these types of cooperative interactions among disparate groups are avoided (Adathi et al., 2015). Thus, while research by Adachi, Hodson & Hoffarth (2015) suggested that competitive games are associated with enhanced intergroup bias, games that support intergroup cooperation may reduce bias, particularly in multiplayer games online. Players in a game are solving problems simply by the very act of playing a game. Players need to figure out how to overcome obstacles, avoid enemies, or reach specific goals. Players in a game could solve these types of problems on their own, or as mentioned in the previous subsection, they could solve those problems with others. Problems could be solved using a “jigsaw” method or having different players have different roles, each of which helps to solve part of the problem. However, the entire team needs to work together to solve the problem. By having players solve problems with others, players start to see that people have different abilities, and different ways of contributing. This may help players to be more open to different types of skillsets and experiences and help to make people feel more “in group” with those who are in an outgroup. In research on role-playing games, such as Fable III, Schrier (2016) found that players used more empathy-related skills, including perspective-taking, after spending time playing and overcoming obstacles with others, even virtual characters (Schrier, 2016). Schrier & Shaenfield (2015) also found that playing collaboratively with another (real) person in a game increased one’s willingness to engage with the collaborator, befriend them, and enhanced more compassion and empathy toward them (Schrier & Shaenfield, 2015). In the multiplayer online game and cooperative game Way, players tended to connect, forge friendships, and identify each other’s emotions to support collaborative problem solving (Schrier & Shaenfield, 2015). Games can enable people to play as a role and shape their role’s identity, as well as gain confidence and self-efficacy in their identity. Games may also enable players to interact with other types of roles and identities as well. For instance, in some games players can shape their avatar (or their representation in the game), they can role-play as other identities, they can “level up” by practicing certain skills (e.g., magic, weaponry), and/or can make choices or interact with other characters or players to shape their own role in the game. In Mass Effect, you can make choices that lead more to a “renegade” character, or one who tends to disobey rules and social norms to get things done, or you can make choices that lead more to a “paragon” character, or one who follows the rules and social norms on their path. In the Walking Dead (Telltale) game, players make choices on how to support other characters during zombie attacks, which affect how other characters treat the player’s avatar and also shapes how events unfold in the game. In the Fable series, players can make ethical choices, as well as choices on how to rule their land (as in Fable III) and their decisions directly impact how other characters (NPCs or non-player characters) treat them, or how they look (the avatar or character representing the player starts to look more devilish or more angelic, or more scarred or more clear-skinned depending on their choices. They also might get brawnier or more tattooed depending on weapons used or abilities earned. Expressing one’s own identity, experimenting with different identities, and learning about other’s identities has been implicated in supporting empathy (Banakou et al., 2016) as well as in reducing bias (ADL, 2018) in that it helps to make any differences seem less “othered” and more understood and appreciated (Darvasi, 2017). Who someone plays as (their avatar) may affect their biases as well. Behm-Morawitz, Pennell, & Speno (2016) investigated avatar creation and a game to understand whether participants took on the perspectives of others. They found that creating and being a Black avatar in the game helped to support more favorable attitudes about African American men (though not women) and more support for policies that support minorities, than playing as a White avatar (Behm-Morawitz et al., 2016). Banakou et al., (2016) also found that White people’s implicit racial bias against Blacks decreased after virtually embodying a Black avatar. Likewise, in another study, Peck et al., (2013) found that light-skinned players inhabiting a darker skinned avatar reduce their biased associations with darker-skinned people. However, the game context may matter. Yang et al., (2014) found that in a violent video game, playing as a Black avatar (instead of a White one) enhanced negative beliefs toward Blacks, and the players behaved more aggressively in the game. On the other hand, Aviles tried two different theoretical approaches to reducing prejudice using avatars in a virtual world (the Proteus effect (or the idea that how an avatar looks affects one’s own behavior), as well as a theory of intergroup contact) and found that neither were effective (2017). Increasing self-efficacy around one’s identity can also help people to persist in systematically biased environments. Enrichment programs can excite interest in STEM by enhancing scientific curiosity (Ogle et al., 2017), which in turn leads to high scores of self-efficacy around science and also higher STEM knowledge (Ogle et al., 2017). Leonard et al., (2016) used robotics and game design to enhance self-efficacy around STEM for middle school girls and indigenous populations. They found that students who participated in blended robotics/gaming clubs had higher self-efficacy scores related to the construct of videogaming (Leonard et al., 2016) and created effective game prototypes. Siritunga et al., (2011) taught biology using a culturally and personally relevant model and found that half or more were confident or very confident in their results, and an increase in content knowledge occurred after the module. Well-designed games scaffold (or support) content over time, and level it appropriately, so players are only getting what they need at each moment to do what they need to do to reach a goal (Fullerton, 2016). This type of design avoids overwhelming cognitive load, where a player has too much information to attend to and does not know what to attend to at each moment. It also helps to balance the players’ mastery of material with their ability to practice it without being too bored, such that they end up in a “flow state” (Csikszentmihalyi, 1990) or centered state where they feel both a sense of mastery without a sense of tedium and boredom. This state also relates to a feeling of higher self-efficacy or the feeling that one is able to do what they need to do and reach the goals they need to reach. Encouraging a higher self-efficacy may also support people’s ability to help others and engage in prosocial behavior through the game or perhaps even beyond the game. Part of the learning process is not only acquiring and using information and skills, but reflecting on the learning process itself, and how it might be changing one’s views, behaviors, and perspectives (Mezirow, 1996). It is important for professionals to not only take actions, but to reflect on the consequences and outcomes of their choices, and how they may act differently in the future. The reflective process also helps to crystallize new knowledge and allows us to think about how we think, or engage in metacognitive processes, which further critical awareness, flexibility, and possibilities for future adaptation (Bransford, Brown, & Cocking, 2000). How can games support reflection and reflective moments, especially when games often require the player to keep moving forward toward a goal. While not all games provide points where a player needs to reflect on their choices, games can provide outcomes, consequences and feedback on choices, which can be used to help players reflect on those choices and consider how they would make choices differently. For instance, in Life is Strange, the game takes the player back to moments where they made a decision and has them reflect on the decision and its consequences, and then invites them to make a different decision to see how the consequences play out (Schrier, 2018). Outcomes could be large (a town disappears, a person commits suicide, a person gets murdered) or smaller (a woman gets bullied). Life is Strange also includes gameplay where a player can decide to sit on a bench and just look around for a while, suggesting to the player that they can take breaks from the storyline and gameplay, the reconsider their actions, and engage in the present moment. Clear and comprehensible feedback is important in any learning situation. People need to know how their actions and choices are evaluated, and in what ways their behaviors affect the world. As they receive more feedback, and more specific feedback, this helps them adapt and reorient themselves to better meet the goals and needs of a learning environment. Well-designed games are typically adept at giving this type of feedback, and enabling players to know how their choices are valued in the game, what the effects are, and whether and how well they are doing at reaching their in-game goals. The more precise, personalized, relevant, and “just-in-time” this feedback is, the more useful it is to the player. For instance, in Lim, players play as a colored square who is moving through a board, which is filled with rooms that have groups of squares that are different than the players square. As they move, the other squares have different reactions to the player, such as bumping into the square, pushing it away, or attacking it, and the player gets immediate feedback on how their square will be treated. The player can choose to “pass” as different colored square, or adjust their square’s color temporarily, and this has an immediate result of the other squares being less combative and more tolerant. Using these simple interactions and feedback, the game is able to express an abstraction of the effect of individual biases on a person. Likewise, in a complex system like a game, players can experience change dynamically rather than just linearly. The feedback that players receive does not have to be linear (1:1), in that players only get to try something or make a choice, and then get a clear piece of feedback returned. Feedback in games can also be provided in a such as way that players can understand consequences and effects in a more dynamic way. For one, games can help to simulate and express complex systems, and enable players to interact within those systems, helping them to visualize and experience shorter- and longer-term effects. But players can push on and play with the boundaries of these systems, try out “what ifs,” enact behaviors, and perform within the system, such that they begin to interact with more holistic feedback provided on a more system-wide level (Schrier, 2016). Through a game, players can also experience and comprehend more complex, messy consequences—even ones that happen over time or have multiple levels of interactions. As a result, players can build systems thinking skills and the ability to see how different behaviors, biases, and attitudes may affect others, not only on a one-on-one basis, but at a system-wide level. For instance, though it’s not a game, per se, Parable of the Polygons is an interactive simulation that shows how biases affect interactions on a more systemic level. Participants are asked to move objects around to show how individual biases may result in more system-wide and institutional biases. Thus, these types of simulations can help establish contexts to support intergroup relations and a reduction in bias (Adathi et al., 2015). Adathi et al. (2015) explain how enabling students who identify as heterosexual to imagine, discuss, and consider life on a different planet for those from a marginalized minority group helps to reduce prejudice against LGBTQ+ populations in real life. The context of imagining the short-term and longer-term effects for a group help to reduce out-group prejudices and enhance trust among groups (Hodson, Choma, & Costello, 2009; Hodson, Dube, & Choma, 2015; Adathi, et al., 2015). While there are many possible strengths of games in supporting bias reduction and changes in empathetic behaviors, there are also many limitations. For one, many games are not designed specifically to reduce biases or support perspective-taking. The design of the game, rather than the fact that it is a game itself, matters more in how well it is effective. The following are general limitation of games, however, the biggest limitation is simply that they are very dependent on how they are designed, which is complex in understanding. Biases and biased behavior are highly complex and dynamic, and require similarly complex and dynamic solutions. Can any intervention, whether a game or not, even reduce biases and change behavior? Researchers have debated whether biases and stereotypes are always automatic, and whether we will be able to actually reduce implicit biases (Devine, 1989), stereotypes, or prejudices, as they are too ingrained and may also affect social behavior (Quillian, 2006, 2008; Castillo, Cámara, Eguizábal, 2011). Other research suggests that the activation and application of the stereotype can be adjusted, and even automatic biases can be changed, with trainings and interventions (Castillo, Cámara, Eguizábal, 2011). As such, research on interventions is often contradictory, as it depends on the design of the intervention, the interaction with a specific audience, and the context of its use, among many other factors. Any type of intervention has limitations, and may be ineffective or unsuccessful in reaching its goals. While some games may take place over many months or even years, depending on the level of engagement of the player, it is difficult to design a full game experience that is so versatile and engaging for all players that it meets the goals of the intervention, fits appropriately into the context, and meets the needs of the audience. Design and context matter (Gentile, 2011) and may interact with how people play the game, treat each other, and their attitudes and behaviors toward each other (Adachi, et al 2015). The same game played in a different context may not be as successful. How a game is played (with others, alone, in a classroom) may also influence outcomes as well as what type of game is played (such as a cooperative or prosocial game) (Adachi et al., 2015). Games, for instance, need the right types of support, and are not “one-size-fits all” “out-of-the-box” solutions. They often require an appropriate teacher or mentor to help shape the game and curriculum to each other. Overall, the simulations used to reduce biases have had mixed and limited results. Nario-Redmond et al. (2017) explain that a review of empirical evidence for disability awareness simulations resulted in only four prior studies and only one suggested that upper elementary school students had enhanced knowledge and understanding for people with a disability (2017). Nario-Redmond et al. (2017) used a virtual reality game to show the perspective of someone with a wheelchair and found that the game was not effective for enhancing constructive behavior toward those with disabilities. Games may even further activate and spur biases, particularly competitive ones further expressing how the design of the game matters. For instance, research by Greitemeyer (2013) suggests that violent game play may enhance intergroup biases, however, the underlying mechanism for this is unclear as there have been mixed results as to whether violent video games cause real-world violence or aggression. Greitemeyer & Mügge (2014) also explore in another meta-analytic study how violent games are associated with antisocial behavior, whereas prosocial games are associated with prosocial behavior. Likewise, research by Adachi, Hodson & Hoffarth (2015) suggested that competitive games are associated with enhanced intergroup bias, whereas games that support intergroup cooperation may reduce bias. Games are built with and embedded in societal and individual biases, even unwittingly. All games, just like any designed experiences, embed the biases of how they were designed, who designed them, and the sociocultural context in which they were designed (Deng, Joshi, & Galliers, 2016; Flanagan, 2009; Flanagan & Nissenbaum, 2014). Just the fact that we are using a game to try to reduce biases is a type of bias in that it suggests that games may have value in this way. Moreover, the communities around and within games have their own norms, values, and biases that are embedded in their design, and how they emerge over time. Games have also been cited as places where biases and intergroup conflict persist and are propagated (Adachi et al., 2015; Greitemeyer & Mügge, 2014). While most game players and communities are respectful, mature and engage in appropriate language, some game players and communities participate in toxic behavior, or purposefully volatile or problematic communications, such as bad language, mocking, negative tone, taunting, or even biased remarks or stereotyping, the amount of which may even vary by different game communities and fanbases. While many games, particularly more collaborative games, may not be as supportive of antisocial behavior, and some game companies have been trying to reduce this using various strategies, there remains a stigma around games themselves as being propagators of bias and antipathy—the very behaviors and attitudes that we hope to address and even reduce. This stigma, a bias in itself against games, affects how games are interpreted and the types of ways they are used (Schrier, 2016). A game may be well-intentioned, have appropriate goals and operationalize change in an appropriate way, but still fail to meet its goals. This is because players come into game contexts with their own myths, misconceptions, and biases around people, relationships, and social structures, and it is hard to predict how people will complexly affect the game system, and be affected by the game system, dynamically. In fact, games have been used as environments in which to study and understand intergroup conflict and biases more generally (Greitemeyer & Mügge, 2014; Adachi et al., 2015; Ferguson, 2015; Pryzbylski et al., 2014). Most of the research on games and prejudice has been around using it as a site for understanding implicit bias, rather than on how to constructively support less bias for another group. A number of studies looked at shooter games, where players need to quickly decide who to shoot – they need to shoot at armed targets and avoid shooting at unarmed ones as they appear on the screen (Adachi, et al 2015). For instance, researchers have found that there is a bias toward shooting unarmed Black rather than White targets (Adachi et al., 2015; Correll, Hudson, Guillermo & Ma, 2014) and have also been able to decrease this bias in the short-term by presenting counter-stereotypical scenarios to the police officers (Adachi et al., 2015; Sim, Correll & Sadler, 2014). Players may enact and perform their own individual biases in games, or even express biases that emerge from the particular design of a game experience. Yang et al. (2014) found that those playing a violent game as a black avatar versus a white avatar had more negative and stereotyped attitudes toward Blacks if they had a black avatar in the violent game, but in the nonviolent game, neither condition had more stereotyped attitudes toward African Americans after playing the game. The design of the game interacts with already present societal stereotypes and could activate them. Players may bring their preconceived notions, myths and biases to the game. Roussos & Dovidio (2016) used the game, SPENT, to understand whether players would reduce biases against those with financial insecurity by playing a game about the poor. They found that those players who came in with the preconceived notion of a “meritocracy” (in that systems reward those who work the hardest and are the most deserving based on personal characteristics), ended up having less empathetic attitudes toward those in poverty than those who did not have the meritocracy preconceived notion (Roussos & Dovidio, 2016; Farber & Schrier, 2017). Those who are using or playing games to support bias reduction also need to understand and reflect on the ethical ramifications of their designs or gameplay. For instance, players may need to be mindful of how they experiment with and/or try on others’ identities. Players also need to be respectful of how they take on or engage in dialogue with the perspectives of others. One major critique of games and virtual reality when players take on roles of marginalized individuals and engage in perspective-taking is that the player is really a “tourist” who briefly takes on a fictionalized version of an individual or group, and then mistakenly think they perfectly understand the perspectives of others, while also being able to slip off that identity without feeling real consequences. This may then reinforce misconceptions and make it even more likely to dismiss real individual’s perspectives or more systemic inequities. Another myth might be that games are even able to change biases or behaviors, and that games, like other technologies, are all-knowing, all-powerful and magical. This has ethical implications because it obfuscates its flaws, and also how important the context, player, and other factors are in making a game successful. Tailoring and communicating these expectations properly will help to ensure that the game is appropriately contextualized and that ethically transparent. It will also help ensure that the game is effective as it focuses on the humanness of games, rather than its cold, technological prowess. Games may not always effectively teach or change behavior per se, but they can possibly give us experiences with people we may not come in contact with often and give glimpses into different aspects of humanity, even if they cannot perfectly simulate a system or how someone feels, thinks, dreams or acts. There are possible general limitations to using a game for the cultivation of empathy, compassion, which should be considered (Farber & Schrier, 2017). For one, putting someone in “another’s shoes” or simulating their life may increase empathy, but also distress and overwhelming negative emotion. In Against Empathy, Bloom (2016) argues that empathy can backfire (in part) if people get too immersed in their own response to someone else’s pain or suffering, that they cannot properly and appropriately help them. For instance, Nario-Redmond, Gospodinov, & Cobb (2017) found that after showing two simulations about a person with a disability such an individual with dyslexia or mobility issues, the participants felt more upset, anxious, ashamed and helpless than before. Although their empathy toward people who are disabled increased, their openness to interacting with people with disabilities did not get better, and they felt that they would be less effective in interacting with someone with a disability (Nario-Redmond et al., 2017). Galinsky et al. (2008) argue that perspective-taking helps participants take on the so-called stereotypical behavior of the other (“out-group”) (both the positive and negative ones). Perspective-taking may even “backfire” and lead to negative outcomes when a person feels threatened (Sassenrather, Hodges & Pfattheicher, 2016) or even where there are good intentions (Holoien, 2014). Perspective-taking may also work well in Western cultures, but may not be as effective in East Asian cultures (Wang et al., 2018). Perspective-taking may help enhance understanding, but the process may not predict the other person’s actual views, mental state, emotions, and attitudes; whereas communicating with the other person and learning about them, and gaining their perspective (exchanging perspectives), did help to increase accuracy of understanding the other person (Eyal, Steffel, & Epley, 2018). For instance, Gloor & Puhl (2016) looks at strategies for reducing weight bias and found that empathy-induction and perspective-taking conditions both enhanced more empathy for people with obesity than the other conditions, but may not reduce overall stigma about weight (Gloor & Puhl, 2016). Moreover, “imagining oneself in the place of others—rather than taking the other’s perspective—is less effective at inducing empathy and help” (Nario-Redmond et al., 2017). In sum, perspective-taking is complex in that it can enhance connection among groups and between those of in-groups and out-groups, but it can also contribute to increased flawed understandings of the other, and enhanced use of stereotypical evaluations and behaviors associated with the out-group (Nario-Redmond et al., 2017). Moreover, research has suggested that players need to build relationships and interpersonal connections over time to support empathy and perspective-taking (Schrier, 2014), such as in the case of Fable III, or need to interact with them in a way that they mutually benefit and play together (Schrier & Shaenfield, 2015), such as in the case of Way. Players need to have the time to authentically build intimacy with other players or even non-player characters (NPCs), or virtual characters that are not controlled by a player. Finally, a game may be well-designed, but it if no one plays it, it will not be able to support any types of experiences for its players. Players need to be motivated to play a game that encourages empathy, and be open to the types of interactions, choices, relationships, and outcomes in the game. Moreover, these choices need to be meaningful to the player—not just in terms of how the game is played (in that the choices affect something in the game itself), but that it is also meaningful to the player and what is personally relevant to them (Schrier, 2018). This may be many different things to many different players, so it is important to allow for a variety of play styles and experiences such that players can form their own personal connections to the experiences. This paper seeks to analyze the recent research on bias education and couple it with research on games and bias reduction (with particular attention to special needs), to help make recommendations of how to better design game and related environments to support bias reduction and less biased behavior toward others. There are many complex and dynamic interactions that both spur and reduce bias, prejudice and discrimination. This complexity is also seen in interventions such as games, virtual worlds, and simulations, in that it’s never as simple as “games reduce or increase bias,” but it’s under what conditions, by whom, how, and when. I described five possible strengths and four possible limitations of using games for bias reduction, particularly in relation to special needs. However, almost any aspect of a game could possibly be a strength or a weakness, as games and their players form a dynamic system that depend on many factors, including social context and cultural biases of the time, place, and people. Games can help to support a professional development experience for practitioners, or can function as part of the intervention. Which types of games work best within different types of interventions for bias reduction and special needs educators? How can games be best integrated into professional development for teachers and educators; what are the factors and configurations that are most effective? Games can possibly cultivate the practice of empathy, perspective taking, and compassion. What are the specific design elements and gameplay that best support the cultivation of these skills, and particularly, in how they may help to reduce biases? How does storytelling, emotional expression, character development, relationships, reflection, transportation and other factors specifically affect this practice? Games can foster a learning community and enhance exposure to others through social interaction and cooperative problem solving and working on tasks. How can we best support, manage and cultivate useful learning communities using games? How do we provide the appropriate scaffolds for problem solving, and encourage constructive social interactions among the players? Games may allow expression and experimentation with identity, and help to increase identity self-efficacy. How do we support players to safely experiment with their own identities and other identities, as well as other perspectives? How do we best enhance player’s self-efficacy and confidence in their own roles to better support bias reduction through games? Games can encourage moments of reflection and give clear and systemic feedback. What are the most useful ways to provide feedback and how can we use messaging, communication and interactions with the game’s system to further help players grapple with bias? How can we build in reflective moments that will continue to crystallize knowledge and enhance critical thinking of one’s own practices and biases. Abidin, R.R. & Robinson, L.I. (2002). Stress, biases, or professionalism: What drives teachers’ referral judgments of students with challenging behaviors? Journal of Emotional and Behavioral Disorders, 10(4): 204-212. Abrahao, B., Parigi, P., Gupta, A. & Cook, K. (2017). Reputation offsets trust judgments based on social biases among Airbnb users. PNAS, 114(37): 9848–9853. Adachi, P.J.C., Hodson, G., Willoughby, T., Blank, C., & Ha, A. (2016). From outgroups to allied forces: Effect of intergroup cooperation in violent and nonviolent video games on boosting favorable outgroup attitudes. Journal of Experimental Psychology: General, 145(3): 259-265. Anderson, K.G. (1997). Gender bias and special education referrals, Annals of Dyslexia, 47(1): 151-162. Bai, H., & Ertmer, P. A. (2008). Teacher educators’ beliefs and technology uses as predictors of preservice teachers’ beliefs and technology attitudes. Journal of Technology and Teacher Education, 16(1), 93-112. Batson, C.D. (1987). Prosocial motivation: Is it ever truly altruistic? In L. Berkowitz (Eds. ), Advances in experimental social psychology (pp. 65-122). San Diego, CA, US: Academic Press. Bransford, J, Brown, A. & Cocking, R. (2000). How people learn. National Research Council. Campion, M.A., Palmer, D.K., & Campion, J.E. (1997). A review of structure in the selection interview. Personnel Psychology, 50: 655-702. Cho, G. & DeCastro-Ambrosetti, D. (2005). Is ignorance bliss? Pre-service teachers’ attitudes toward multicultural education. The High School Journal, 89(2): 24-28. Correll, J., Hudson, S.M., Guillermo, S. & Ma, D. (2014). The Police Officer’s Dilemma: A Decade of Research on Racial Bias in the Decision to Shoot, Social and Personality Psychology Compass 8(5): 201–213. Crowley, K. & Jacobs, M. (2002). Building islands of expertise in everyday family activity. In G. Leinhardt, K. Crowley, & K. Knutson (Eds. ), Learning conversations in museums (pp. 333-356). Mahwah, NJ, US: Lawrence Erlbaum Associates Publishers. Ferguson, C. J. (2015). Do angry birds make for angry children? A meta-analysis of video game inﬂuences on children’s and adolescents’ aggression, mental health, prosocial behavior and academic. Perspectives on psychological science, 10, 646 –666. http://dx. doi.org/10.1177/1745691615592234. Flynn, J. & Rahbar, M. (1994). Prevalence of reading failure in boys compared with girls. Psychology in the Schools, 31: 66-71. Galinsky, A.D. & Ku, G. (2004). The effects of perspective-taking on prejudice: the moderating role of self-evaluation. Personality & Social Psychology Bulletin, 30(5):594-604. Galinsky, A.D., Ku, G., & Wang, C.S. (2005). Perspective-taking and self-other overlap: Fostering social bonds and facilitating social coordination. Group Processes and Intergroup Relations, 8(2): 109-124. Glock, S., Krolak-Schwerdt, S., Klapproth, F., & Böhmer, M. (2013). Beyond judgment bias: How students’ ethnicity and academic profile consistency influence teachers’ tracking judgments. Social Psychology of Education, 16, 555–573. doi: 10.1007/s11218-013-9227-5. Goldstein, N. J., Vezich, S., & Shapiro, J. R. (2014). Perceived perspective-taking: When others walk in our shoes. Journal of Personality and Social Psychology, 106(6): 941-960. Greitemeyer, T., & Mügge, D. O. (2014). Video games do affect social outcomes: A metaanalytic review of the effects of violent and prosocial video game play. Personality and Social Psychology Bulletin, 40, 578–589. http://dx.doi.org/10.1177/0146167213520459. Holoien, D.S. (2013). When good intentions backfire: Intergroup asymmetries in understanding. Princeton University doctoral dissertation. Lavy, V. & Sand, E. (2016). On the origins of gender human capital gaps: Short and long term consequences of teachers’ stereotypical biases. Maurice Falk Institute for Economic Research in Israel. Discussion paper series. 2: 1-53. Lee, S. (2010). Reflect on your history: An early childhood teacher examines her biases. Multicultural Education, 17(4): 25-30. Lockenvitz, S. (2016). The experience of stigma in adults who lisp. University of Louisiana at Lafayette, PhD. Dissertation. Nario-Redmond, M.R., Gospodinov, D. & Cobb, A. (2017). The unintended negative consequences of disability simulations. Rehabilitation Psychology, 62(3): 324-333. Ogle, J.P., Hyllegard, K.H., Rambo-Hernandez, K. & Park, J. (2017). Building middle school girls’ self-efficacy, knowledge, and interest in math and science through the integration of fashion and STEM. Journal of Family and Consumer Sciences, 109(4): 33-40. Overby, M., Carrell, T., & Bernthal, J. (2007). Teachers’ perceptions of students with speech sound disorders: A quantitative and qualitative analysis. Language, Speech & Hearing Services in Schools, 38(4): 327-41. Powell, K. (2014) Stigma Against Mental Illness: The Influence of Empathy, Perspective-taking, Exposure to and Familiarity with Mental Illness. The University of Memphis dissertation. August 2014. Pryzbylski, A. K., Deci, E. L., Rigby, C. S., & Ryan, R. M. (2014). Competence-impeding electron games and players’ aggressive feelings, thoughts, and behaviors. Journal of Personality and Social Psychology, 106, 441 –457. http://dx.doi.org/10.1037/a0034820. Quillian, L. (2006). Measuring Racial Discrimination. Contemporary Sociology, 35(1): 88-90. Quillian, L. (2008). Does Unconscious Racism Exist? Social Psychology Quarterly, 71(1): pp. 6-11. Sassenrath, C., Hodges, S. D., & Pfattheicher, S. (2016). It’s all about the self: When perspective taking backfires. Current Directions in Psychological Science, 25(6): 405-410. Schrier, K. (2016). Knowledge games: How playing games can solve problems, create insight, and make change. Baltimore: Johns Hopkins University Press. Schrier, K. & Shaenfield, D. (2015). Collaboration and emotion in way. In Tettegah, S., Huang, W. (Eds. ), Emotions, technology, and digital games (pp. 289–312). New York, NY: Elsevier. Sim, J.J., Correll, J., & Sadler,M. S. (2014). Understanding police and expert performance: When training attenuates (vs. exacerbates) stereotypic bias in the decision to shoot. Personality and Social Psychology Bulletin, 39, 291–304. http://dx.doi.org/10.1177/ 0146167212473157. Sirituna, D., Montero-Rojas, M., Carrero, K., Toro, G., Vélez, A. & Carrero-Martínez, F.A. (2011). Culturally relevant inquiry-based laboratory module implementations in upper-division genetics and cell biology teaching laboratories. CBE-Life Sciences Education, 10: 287-297. Squire, K. (2011). Video games and learning: Teaching and participatory culture in the digital age. New York: Teachers College Press. Steele, C.M. & Aronson, J. (1995). Stereotype threat and the intellectual test performance of African Americans. Journal of Personality and Social Psychology. 69:797–811. doi: 10.1037/0022-3514.69.5.797. Steele, A., Maruyama, N., & Galynker, I. (2010). Psychiatric symptoms in caregivers of patients with bipolar disorder: A review. Journal of Affective Disorders, 121(1): 10 – 21. Steinkuehler, C. (2007). Massively Multiplayer Online Gaming as a Constellation of Literacy Practices, E-Learning and Digital Media, 4(3): 297-318. Steinkuehler, C., & Oh, Y. (2012). Apprenticeship in massively multiplayer online games. In C. Steinkuehler, K. Squire, & S. Barab (Eds. ), Games, learning, and society: Learning and meaning in the digital age. New York: Cambridge University Press. Travers, J. & Ayers, K.M. (2015). A critique of presuming competence of learners with autism or other developmental disabilities. Education and Training in Autism and Developmental Disabilities. 50(4): 371-387. Wang, C.S., Tai, K., Ku, G., & Galinsky, A.D. (2014). Perspective-taking increases willingness to engage in intergroup contact. PLoS One, 9(1). Wong, J.P-H. & Li, A.T-W. (2015). The exclusionary circle game: A tool to promote critical dialogue about HIV stigma and social justice. Progress in Community Health Partnerships. 9(3): 431-438. Woodcock, A., Hernandez, P.R., & Schultz, P.W. (2016). Diversifying science: Intervention programs moderate the effect of stereotype threat on motivation and career choice. Social Psychology Personality Science, 7(2): 184-192. Woodcock, A., Hernandez, P.R., Estrada, M., & Schultz, P.W. (2012). The consequences of chronic stereotype threat: Domain disidentification and abandonment. Journal of Personality and Social Psychology. 103:635–646. doi: 10.1037/a0029120.